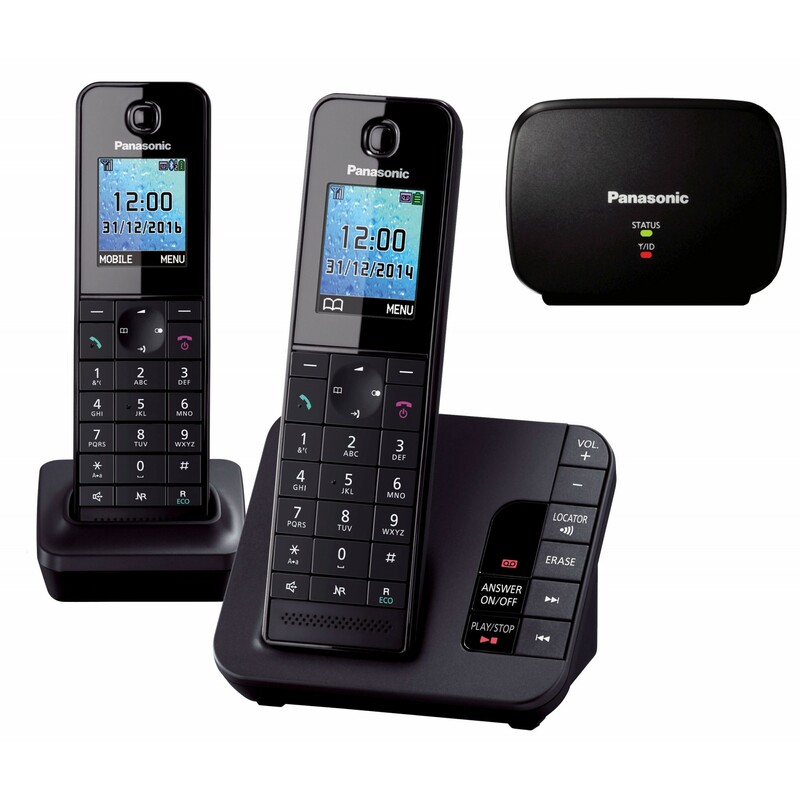 Sporting a stylish glossy black design and a 1.8" colour LCD display, the Panasonic KX-TGH 222 provides an innovative array of features including call blocking, integrated answering machine, loudspeaker and excellent sound quality. This long range bundles includes an RX repeater so that you can benefit from up to twice the standard range. The Panasonic KX-TGH 222 makes use of noise reduction technology which may be activated at the touch of a button whenever you're on a call. The feature also works with the speakerphone, allowing you to take hands-free phone calls with excellent clarity. Panasonic have also included their latest call blocking technology so that you can prevent unwanted disturbances from anonymous or withheld callers, as well as blacklist up to 50 specific numbers. 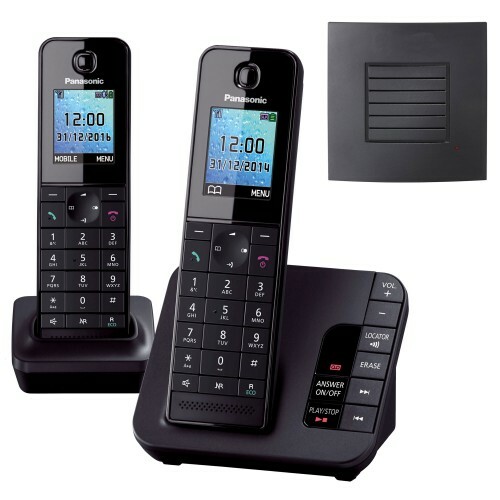 An ideal twin set of home phones, which offers great sound, dependable features (including Call Blocking), and comes with a DECT repeater for extra range. Bought the 223 version (Base plus two handsets)now ordered a further handset, wish I had done so at the outset. No complaints from anyone at home, hence the additional handset order. Be confident in buying as many as you need at the outset (cheaper). Good quality as you might expect from Panasonic. After using these phones for a couple of months I was so impressed I treated my Mum to a trio of the Panasonic KX-TGH223 phones and she is delighted with them also.